I will add more locations as they pop up! At the moment the best way to farm for legendary weapons: Taking advantage of the nuked locations, specifically the Whitespring Golf Club and Whitespring Resort (also a good spot to farm XP). You can can come out of here with like twenty to thirty legendary items from just this one nuke location. His tip: Start off at the Golf Club, lure all the enemies out and then jump on to different locations where they can’t hit you and then you can just hit them with melee weapons. Once you’re done with the Golf Club part circle around towards the housing sort of area (north of the Golf Club). Clear the enemies out there and then you circle around again all the way to behind the Whitespring Resort. You clear those out there. The enemies are gonna keep respawning constantly so you’re literally gonna be able to fight like hundreds of these ghouls non-stop. Inside and all the way to the second floor. Most of the time at the very end of it a legendary enemy will spawn (just kill it, loot it, go back to the main menu, relog and do it again and again). Bonus: A Power Armor can spawn at the roof of the building. Good location even if not nuked. Walk inside, walk into a couple of rooms (letting them know you’re here), then run back out and wait for the hordes to come after you and then kill them all one by one. One you’re done at the Whitespring Golf Club, head over to the Watoga Emergency Services and begin farming there. Uranium Fever (east of The Whitespring Resort) – one of the best events in his opinion for getting legendary weapons. 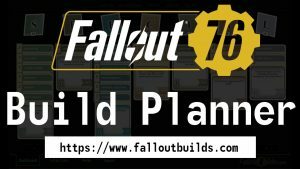 Start off by nuking a location (you can find the current Nuke codes here on FalloutBuilds.com!) 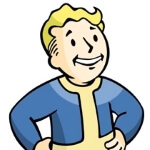 or do server hopping alternatively and hopefully at one of the servers someone nuked The Whitespring Resort. After you cleared the nuked area, move on to the Watoga Emergency Services. When legendary enemies aren’t spawning there frequently anymore, move on to The Whitespring Golf Club. While doing the two locations, look out for the Uranium Fever event and the One Violent Night event. If those do pop up, go to them and farm that way. A lot of ghouls are spawning in here and it is likely that one of them is a legendary enemy. When you go in the High School, it’s gonna start the event “Monster Mash (Versus)” automatically. It’s more or less running around trying to get candy in this mask. In the background there are so many ghouls spawning (also a good way to farm XP). A lot of times you will encounter at least one legendary enemy per round. After you completed the event, there’s a cooldown period. You can avoid it very simply by using server hopping. Just disconnect and join another server and the Event will be right there ready for you to start again. Ton of mole miners around this location, so often times one of them will happen to be a legendary. Method that will 100% give you a legendary item every time you do it: Through events – some of them will always give you a legendary item. The way to truly farm them is to server hop (switch from server to server until you find one of the events active). One reason a high level player might do this is if you actually plan on creating a second character you could this a couple of times and get a bunch of good armor pieces. Best event for mid to high-level characters: “Uranium Fever” at Blackwater Mine, 3 legendary mole miners are spawning so you are getting 3 legendary enemys with probably level 40 to 70 which will always drop at least one legendary item. Best way is to launch nukes. statictime posted this list on Reddit. SpiderGamez is presenting different methods, sorted from worst to best. Watoga Municipal Center -> Go up the fire escape and get into the building, go through the hallways. Lots of Scorched there. Go up another stair and there’s always a legendary enemy. Wendigo Cave -> You can get a lot of legendary items there, but there’s a chance too that you don’t get any, bit of luck here. He also recommends nuking an area (or going to an area which has been nuked by another player).